Gurulandia.it offers you two sections dedicated to ANTI-MUSIC and one to MUSIC. The GRIND/NOISE and the NOISECORE sections include THE FIRST AND UNIQUE VISUAL ENCYCLOPAEDIC ARCHIVES OF GRIND/NOISE, with all the releases who paved its path from the most important and known platters to the most obscure and extreme ones. In the GRIND/NOISE section you will find the discographies of all the bands who joined and supported the "Campaign For Musical Destruction". 3,147 BANDS and 13,896 COVERS/SLEEVES of the records in vinyl and compact disc. 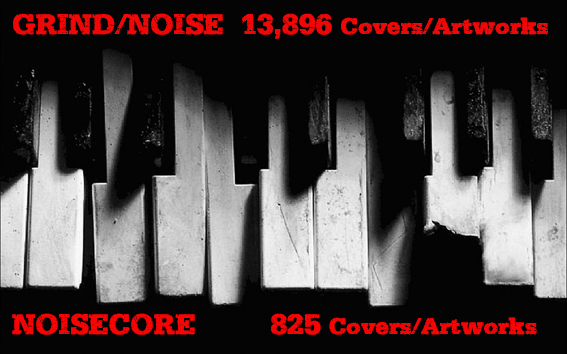 In the NOISECORE section the definitive and complete discography with reviews about AxCx and 7 M.O.N. 170 BANDS and 825 COVERS/SLEEVES. The ITALO DISCO section is about DISCO-Music made in Italy in the Eighties, whose LYRICS this website hosts the largest available collection on the Internet. LAST UPDATE: 3RD MARCH 2018 - 7 GRIND/NOISE RECORDS + 1 ITALO DISCO LYRICS! Very special thanks to SANDRO and MORPHZOMBIE and SILVIA for their help and patience.